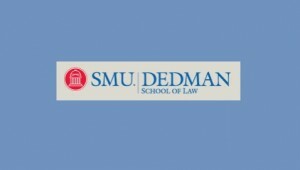 The 50th Annual SMU Air Law Symposium will be held March 31- April 1, 2016. The Journal of Air Law and Commerce sponsors the oldest and largest annual aviation law symposium in the world. Recent events that have changed our aviation landscape are sure to add to the discussion, debate, and education at the Symposium. More than 500 aviation lawyers and industry representatives annually attend. The symposium offers continuing education credit, superb networking opportunities, and the exploration of a wide variety of aviation law topics. It is a particularly special year for the symposium as it celebrates its 50th Anniversary. Congratulations!